At Torrington Dental Care, we’re all about going above and beyond for our patients. Rather than just cleaning your teeth and letting you know if you have cavities, our team will work from day one to fully tailor your experience based on your particular needs. And, thanks to our truly comprehensive services, you can trust that we’ll be able to provide any treatment necessary to give you a gorgeous and healthy smile. We don’t want any unpleasant surprises at checkout, which is why we always make sure our patients know exactly what they’ll be expected to pay before they begin treatment. If you have insurance, our team we’ll let you know exactly what is and isn’t covered, and we can help you sign up for low-to-no interest financing as well. That way, you can always come to see us with peace of mind. Modern families are busier than ever these days, so the last thing that parents have time for is running around to different dental offices so that they, their partner, and their children can get everything they need. 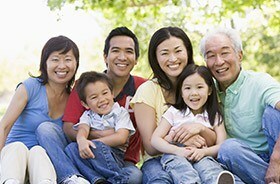 To make everyone’s lives easier, you can simply bring your entire family to Torrington Dental Care. We have the warm and friendly environment children need as well as the technology and advanced services adults deserve. Here, everyone can feel welcome while they get a beautiful smile! Whether you just need routine dental care or something a little more involved, you can trust that we’ll always be able to provide it. Dr. Kuzmin is a general dentist capable of offering a wide variety of preventive, restorative, and cosmetic services all under one roof, and thanks to Dr. Ji Young Lim, you and your loved ones have easy access to orthodontic care as well. Basically, if your smile ever needs something, you can trust that you’ll always find it here! Torrington Dental Care is a 42 North Dental Care, PLLC practice and is owned and operated by dentists Dr. Samuel Shames, DDM. and Dr. Ronald Weissman, DDM. Gentle Dental is supported by 42 North Dental, LLC, a dental support organization that provides non-clinical administrative and business support services to the practice. 42 North Dental, LLC does not own or operate the dental practice or employ dentists to provide dental services. 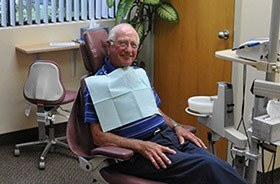 Find more information about 42NorthDental, LLC and the dental practices it supports at 42northdental.com.